Krusty the Clown gets the Bearbrick treatment! This figure features Springfield's TV personality in his iconic pink and green outfit. 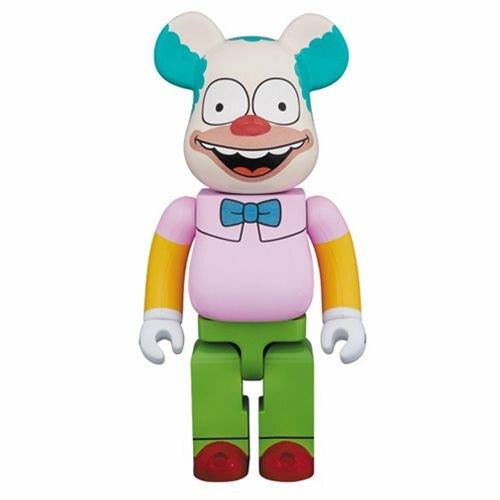 This Simpsons Krusty the Clown 100% Bearbrick Figure stands approximately 2 3/4-inches tall." See you tomorrow, kids". Ages 15 and up.